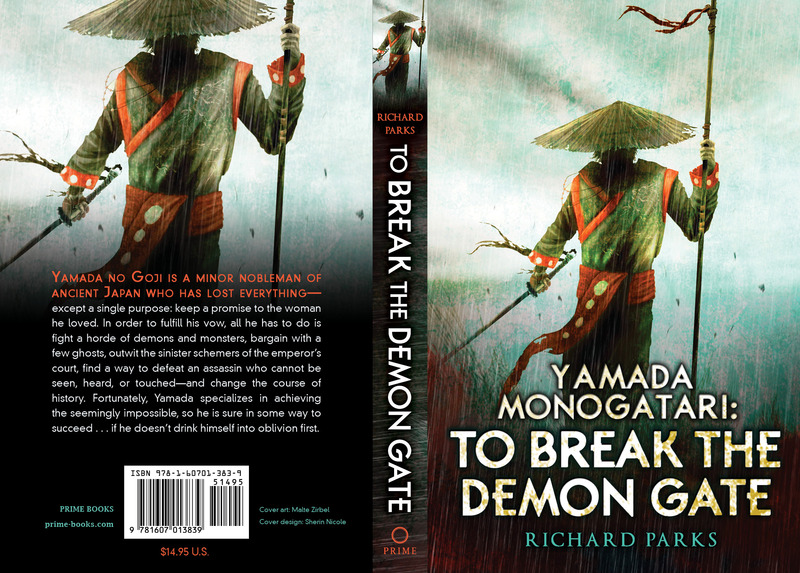 You’re looking at what is probably the final cover for the Prime Books edition of Yamada Monogatari: To Break the Demon Gate, barring any last minute tweaks. The original–and still official–publication date is December 3rd, but there’s a chance that will be moved up to mid- November. I’ll let everyone know once I know. I still have some hope that the PS limited edition will be out before then, but right now it’s anybody’s guess. The third Yamada book, The War God’s Son is scheduled for mid 2015. I expect at least one more Yamada novel after that, though of course to some degree that depends on the next two. Power’s Shadow continues to progress. I crossed the 40k threshold last week, so it’s officially a novel by SFWA standards. The story should wrap up at 60-65k words, maybe 70k at the outside. As of now I have no plans to discontinue the serial, so as long as I can stay ahead on the installments, I’ll keep posting them until the book is done. If I finish ahead of the installments, though, I’ll likely put the ebook edition out rather than waiting to catch up. That’s just theoretical, and probably far too optimistic. As with life itself, we’ll see what happens next. This entry was posted in novel, Process, Publishing, Writing and tagged Demon Hunter, Prime Books edition, The War God's Son, To Break the Demon Gate, Yamada Monogatari by ogresan. Bookmark the permalink. The kindle version should be out about the same time as the print. There may have been a time when publishers liked to wait between the editions, but I think most of them have figured out that this is a bad idea.